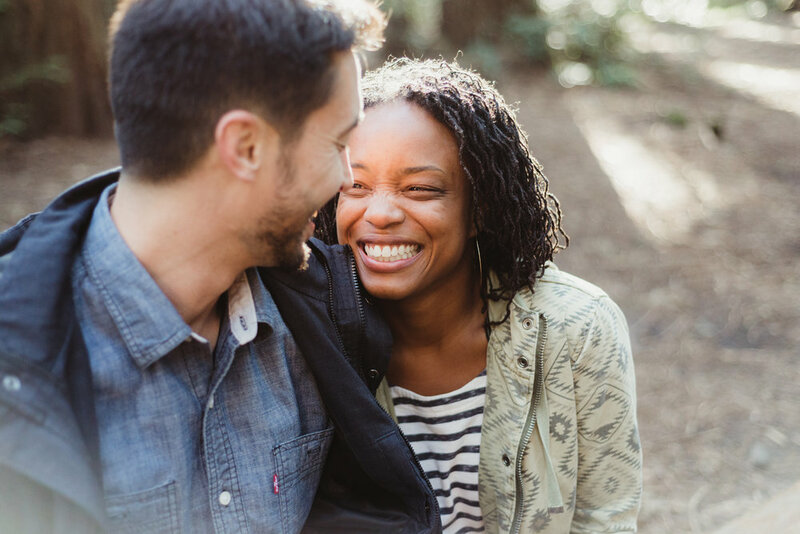 A and O love the outdoors just as much as I do (and it's why we decided to work together!) 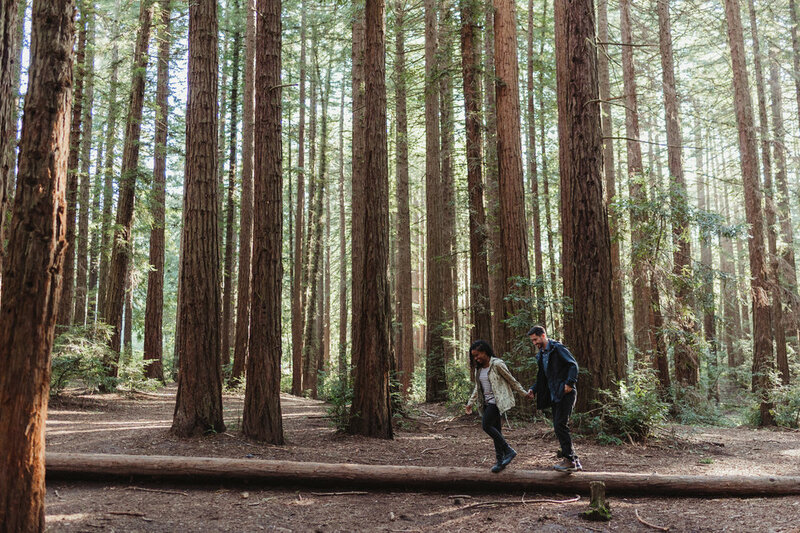 so it was only fitting that they chose Oakland's Redwood Regional Park for their engagement session. Redwood Regional is also the site of where O proposed to A! 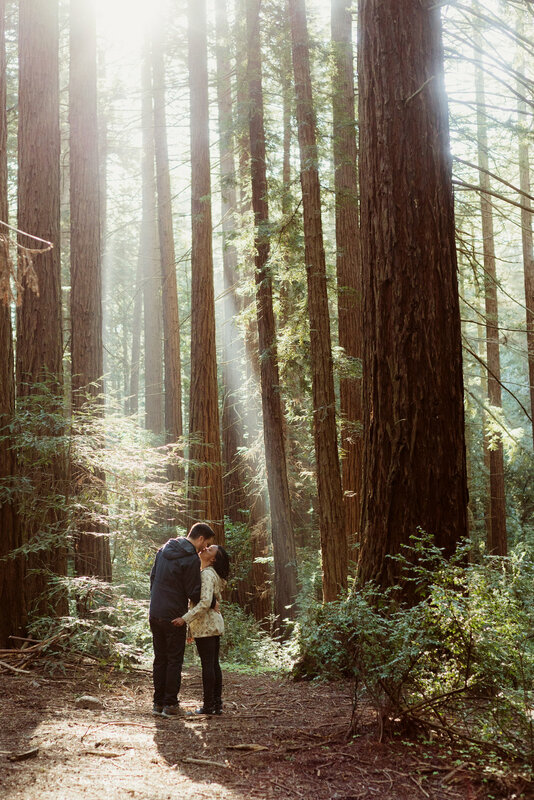 Catching the morning sun streaming through the tall trees made this special place even more magical.